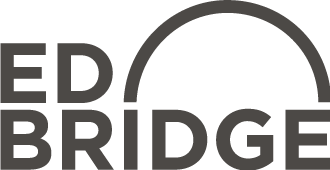 The ED-BRIDGE Buprenorphine Guide provides a practical framework for the use of buprenorphine as an effective short-term treatment for pain and opioid withdrawal, and a bridge to long-term treatment of opioid use disorder. Please enter some general information so that we can have a sense of where these protocols are being reviewed. This information is for internal purposes only. State * Alabama Alaska Arizona Arkansas California Colorado Connecticut Delaware Florida Georgia Hawaii Idaho Illinois Indiana Iowa Kansas Kentucky Louisiana Maine Maryland Massachusetts Michigan Minnesota Mississippi Missouri Montana Nebraska Nevada New Hampshire New Jersey New Mexico New York North Carolina North Dakota Ohio Oklahoma Oregon Pennsylvania Rhode Island South Carolina South Dakota Tennessee Texas Utah Vermont Virginia Washington West Virginia Wisconsin Wyoming District of Columbia Puerto Rico Guam American Samoa U.S. Virgin Islands Northern Mariana Islands Outside U.S. This clinical practice guide does not set a standard of care, rather it is an educational aid to practice. This guide does not set a single best course of management, nor does it include all available management options. It was developed by an interdisciplinary team based on published evidence and expert opinion; as the literature develops best practices may change. This guide should never be used as a substitute for clinical judgement. Individual providers are responsible for assessing the unique circumstances and needs of each case. Adherence to this guide will not ensure successful treatment in every situation. This information is intended for healthcare providers and subject matter experts, it is not intended for use by patients and the general population.